Customer service excellence is vital in maintaining the good image of your business. Why? Because customers usually share their experiences with your business with other potential customers. According to Esteban Kolsky the CEO of ThinkJar, 13% of customers tell 15 or more others about their bad experience. Furthermore, 72% of customers share their positive experience with 6 or more other people. Thus, you need to make customers feel special by optimizing their experience with your business at every stage of the sales funnel. Chatbots provide your customers with the quickest answers, an experience they always long for. Customers hate waiting and as a matter of fact, if they don’t get quick responses to their questions, they give up on their purchase. A Forrester research shows that 57% of customers abandon their purchase if their questions aren’t quickly answered. Thus, by answering quickly your customer’s questions, you ensure a high customer service speed, which delights them and creates a positive, lasting impression with your customers. 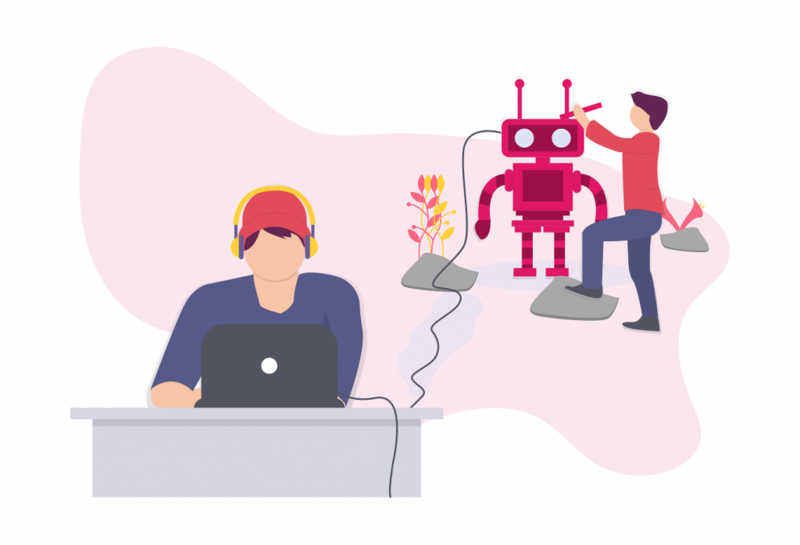 Chatbots can also handle many requests with similar responses at the same time, thus reducing your customer waiting time. Live response to customers via chatbots plays the golden role of providing your customers with a 24/7 service which is difficult with human agents. They are always at your customers’ service whenever they need help. Moreover, chatbots don’t go for breakfast, lunch and neither do they go to sleep like the human agents. Once chatbots are set up, they are standby 24/7 to help. Chatbots are associated with high customer service speed and fewer errors while answering your customer inquiries. Wondering why? Their cognitive technology breaks the ice by interpreting your customer’s responses and providing accurate automated answers. Furthermore, chatbots have a strong memory that helps in providing relevant answers to your customer’s questions. Chatbots invite your visitors to chat sessions before they even initiate them. They start the conversation and provide your customers with information about your products/services. This saves them time from looking all over your website for such information. By the way, the proactive experience helps in giving your customers a push towards making a purchase decision. Remember customers hate doing all the work by themselves. However, with chatbots, they are helped and supported, and this makes customers feel special. Live response to customers through chatbots is key to handling customers well, even those with the worst behaviors. Here’s why: with chatbots, even if the customer is rude, he/she will still be attended to in a friendly way as chatbots can’t be provoked emotionally. Are you wondering how to friendly serve your customers even past your working hours? Chatbots are here to your rescue. A dream coming to reality with Slaask, delivering satisfying customer service to your customers at their door steps.